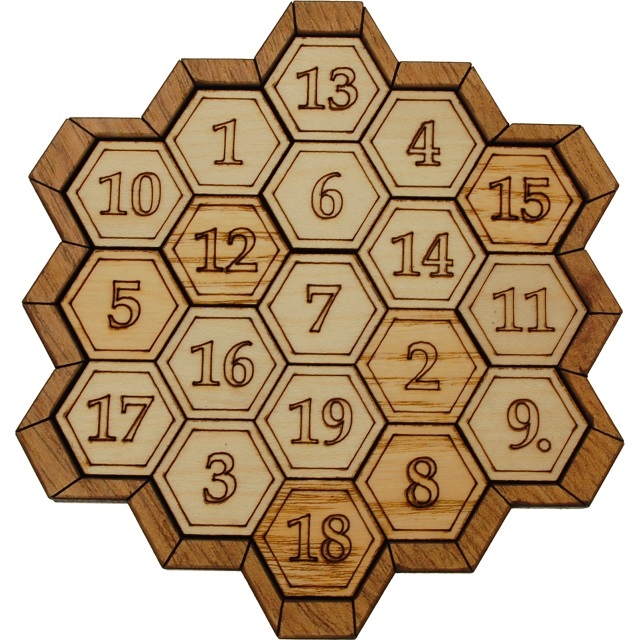 Place the 19 pieces into the frame so that the sum of each row is the same! Rows can be horizontal, vertical, and diagonal. Difficulty: 6/7. Size: 10,5 cm x 11,4 cm x 1 cm. This product was added to our catalog on 22.07.2016.